The only way to make it work would be to raise the stand by placing on a board or plank or something similar . Can’t see from the pics how much extra height you would need. 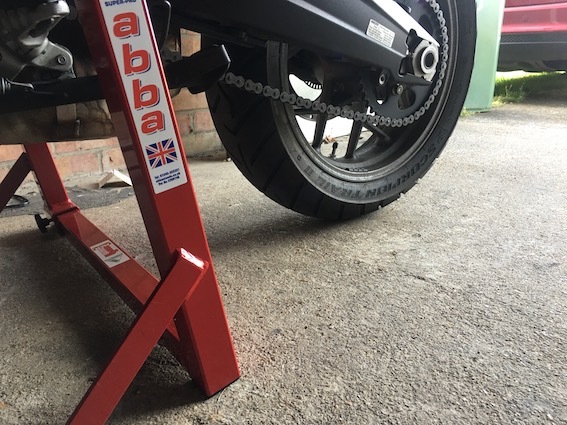 I have used the Abba stand across many bikes, never come across that problem before. 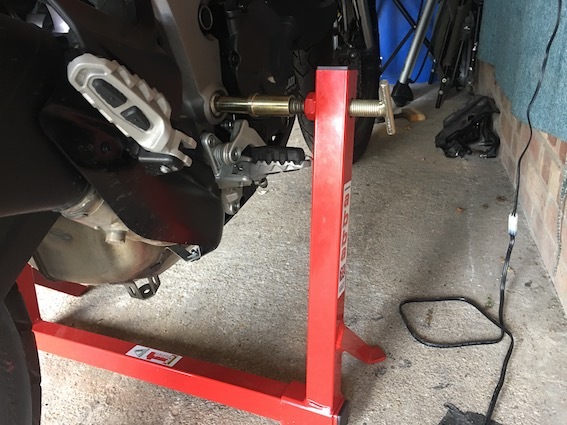 I used a paddock stand on my 950. I made a stand with the pin that goes through the back hub . 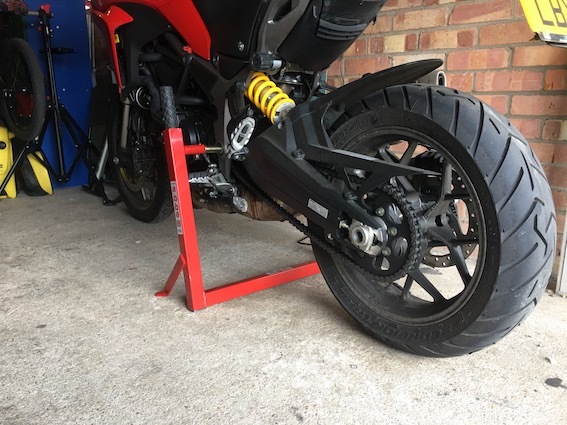 "Thanks for the pic and sorry to see the bike is not lifted fully off the ground. 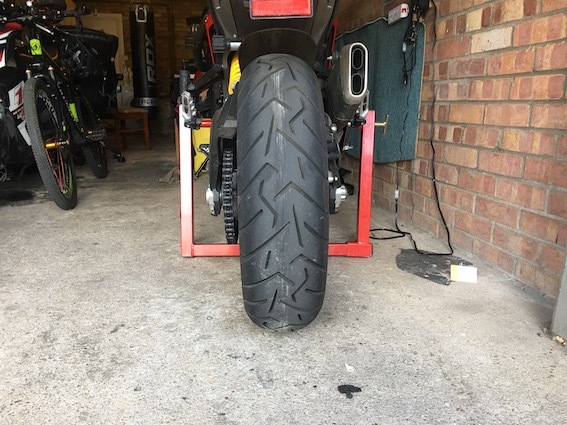 I can only assume the 950 model is different to that of the other new multistrada models in suspension height? As we do not have this issue with the other Multistradas. The only suggestions I can offer is either to return the stand and we will fully refund you. 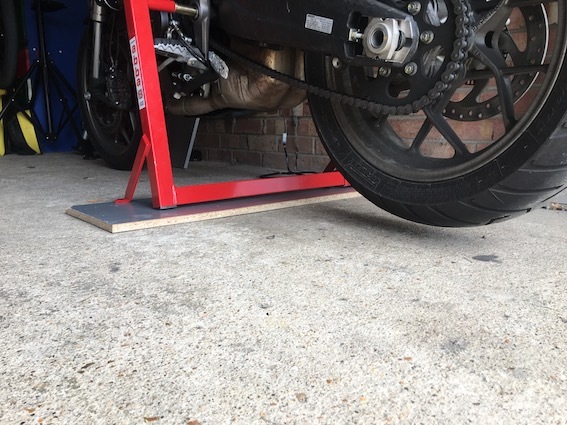 Or we have a neat adjustable base plinth that goes under the stand (used on taller trial type bikes normally) that we could supply you free of charge. 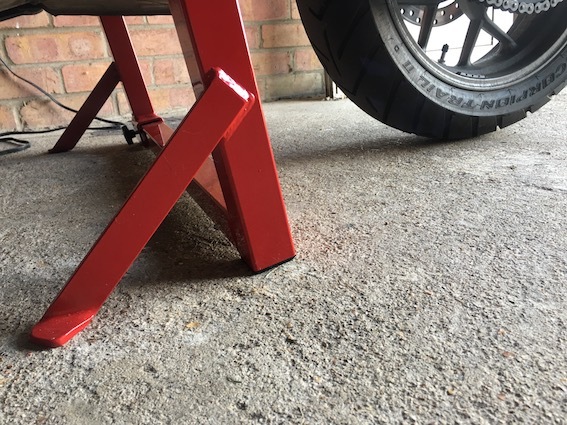 This will then raise the stand up around 1.5” to gain the normally amount the rear wheel would be off the ground.